limited lifetime residential/6 year light commercial warranty. 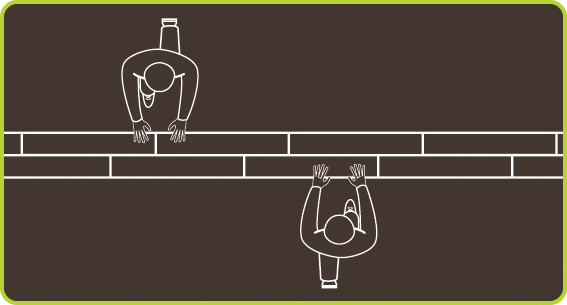 Angle World focus' on quality to ensure consistent and stable products that exceeds industry standards. We fully back all our products and will warranty against all defects during use within warranty period. The core of the product has a lifetime warranty of 99.7 years for LVT and 50 years for best laminate flooring, but the wear of the product is based on wear layer thickness and warranty on the finished layer varies. Angle luxury vinyl plank and laminate flooring are available in several wear layers and have warranties from 15 years to 99.7 years for residential use. 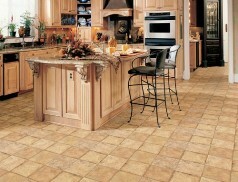 Installing laminate flooring are quick and easy with drop and lock system. 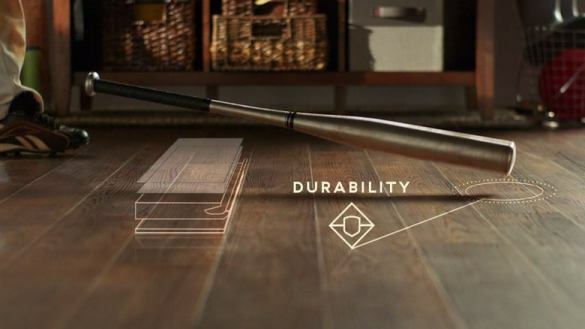 Luxe Plank, an innovative, waterproof flooring, brings the natural beauty of hardwood and stone to any room in your home - even baths and basements. 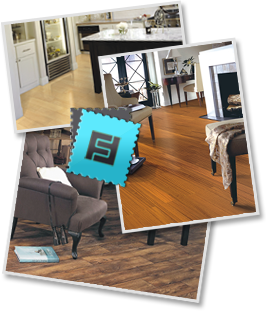 This collection offers a variety of popular traditional and exotic hardwoods. Two divisions within Beaulieu Flooring solutions, BerryAlloc and Beauflor, both commercialise the 'Vinyl Planks' product range. 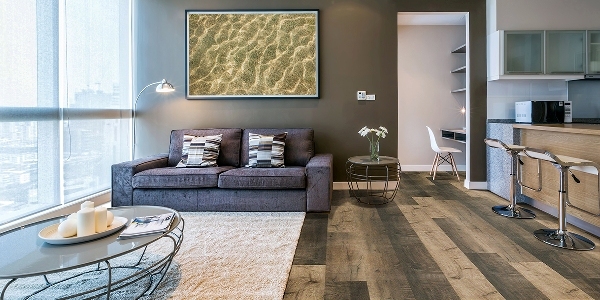 Within 'Vinyl Planks' - also known as LVT (Luxury Vinyl Tiles) - they offer everything from peel & stick, dryback, XXL planks, click vinyl planks to their DreamClick collection with its new and revolutionary click system. Discover their wide range of over a 100 beautiful wood and tile decors. DuChâteau® is an encompassing lifestyle brand, specializing in the fine manufacture of luxury architectural finishes from hardwood and vinyl flooring to wall coverings, doors, décor and beyond. Founded in 2007, DuChâteau quickly rose to the upper echelon of its industry for its unparalleled marriage of old-world traditional craftsmanship with state-of-the-art technology. Its timeless, yet incredibly personal design statements herald a new era of design innovation – one that seats nature with fashion and architecture.The brand stands a monument to the vision of its founders. The products it makes remain unrivaled. However, DuChâteau believes such showcasing the luxury and beauty of nature should not come at the detriment of nature itself. As a major proponent of sustainability, DuChâteau is committed to the environment and ensuring its future. DuChâteau wood products are certified by the Forest Stewardship Council® Chain of Custody Standard (FSC®). Also a proud member of the U.S. Green Building Council, all DuChâteau wood products contribute to LEED credits. FreeFit Glueless Vinyl offer realistic natural and embossed in register wood planks as well as Ceramic & Stone Square tile designs. The patented design backing includes suction technology that forms an anti-skid surface between the subfloor & the Freefit product. This, along with the weight of the product allows the FreeFit planks & tiles to be laid loose with no need to any adhesives. There's also no need for Rolling of any kind during or after installation. FreeFit Vinyl offers the best in class residential & commercial warranty along with a 100% dimensional stability which gauarantees a lifetime of satisfaction with the product. FreeFit Vinyl floors are sound absorbant and elegantly suit any decor & on any level. It can be installed literally over any flat, dry subfloor which takes away the hassle of subfloor preparation. FUSION with Permacore Technology is the ultimate solution for anyone who is looking for a great looking waterproof floor that is eco-conscious, easy to install and easy to clean. 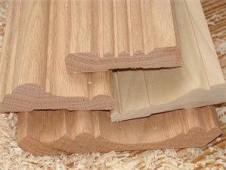 Permacore is a 50/50 recycled wood composite that is extremely dense and stable and will not contract or expand. FUSION resists spills of any kind, making the cleaning and everyday maintenance plain and simple. It is perfect for high moisture areas such as rec rooms, bathrooms, sun porch, basements, kitchens, laundry rooms, playrooms, mud rooms, verandas, offices and light commercial applications. Install with or without glue. Primo Florz is a wholesale flooring importer whose mission is to be one of the most trusted flooring importer in the industry. With over 35+ years of management and sales experience in the industry, Primo Florz strives to provide unwavering service and support to their customers. Primo Florz has developed a distinct competitive advantage in the industry so far by delivering exceptional value, a diverse offering of products and unsurpassed customer service. For more information please visit: http://www.primoflorzusa.com/index.html. With amazingly realistic wood grains, longer pattern repeats and high-definition textures, Tarkett ProGen delivers next-generation performance for modern life. Its 100% waterproof construction won't warp with exposure to water or sunlight - making ProGen the perfect LVT flooring for any space, including three season sunrooms, cabins and vacation homes, kitchens, bathrooms and basements. A commercial-grade wear layer resists dents and scratches, while our unique rigid core technology is easy to install with just a utility knife. For more information please visit: https://residential.tarkett.com/en_US/collection-C001210-progen. Twelve Oaks is a Canadian based flooring supplier and distributor. They have been in the flooring business for over a decade, mainly catering to flooring specialty stores across Canada, from Newfoundland to Victoria Island. Today, hundreds of selected stores are carrying the Twelve Oaks brand. They have a dedicated in-house marketing and product development team that works closely with designers across North America. Their mission is to constantly be on the look out for new inspirations and seamlessly incorporate those ideas into new product designs. For more information please visit: https://twelveoaks.ca/.